SAVE £1000 OFF THIS CARAVAN FREE POWRTOUCH EVOLUTION MANUAL MOVER (RRP £1195) HALF PRICE INSURANCE Welcome to Bicester Caravan and Leisure. We are open seven days a week for your convenience, offering the full range of new season Xplore, Elddis, Buccaneer, Sprite, Swift and Coachman caravans, also with over 75 pre-owned caravans all at very competitive prices. 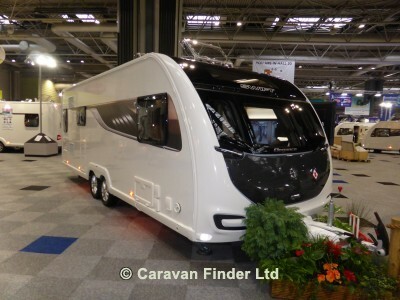 All our caravans are presented to the highest standard with a customer handover experience second to none. Once you take delivery of your caravan you can even enjoy a free stay at our local camp site. Our service and body shop department are open Monday to Friday, parts and accessories are open 7 days. We have a large newly refurbished cafe on site, offering some amazing cuisine, along with homemade jams and cakes, well worth a visit and open 7 days a week. Our extended storage facility is now open with an additional 80 spaces. Storage starts from as little as £45.00 per month.